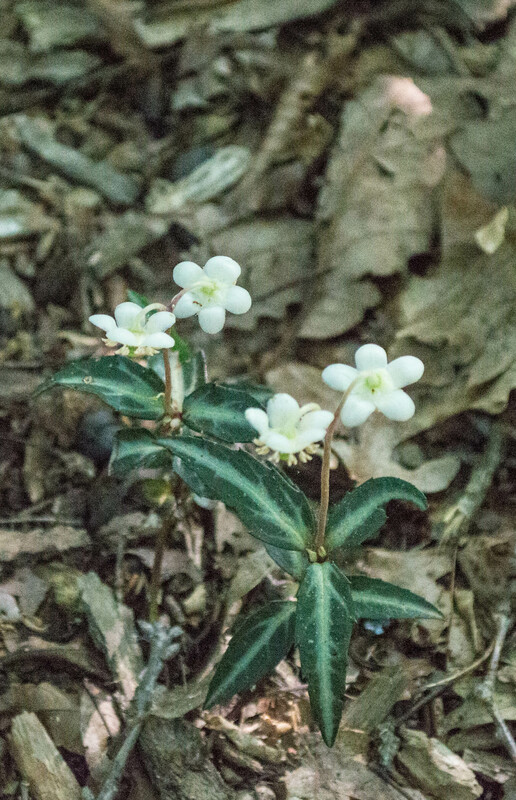 This low-growing (only a few inches tall) evergreen plant likes the shade of deep woods. The flowers most often appear in pairs, though there can also be one or three flowers together. 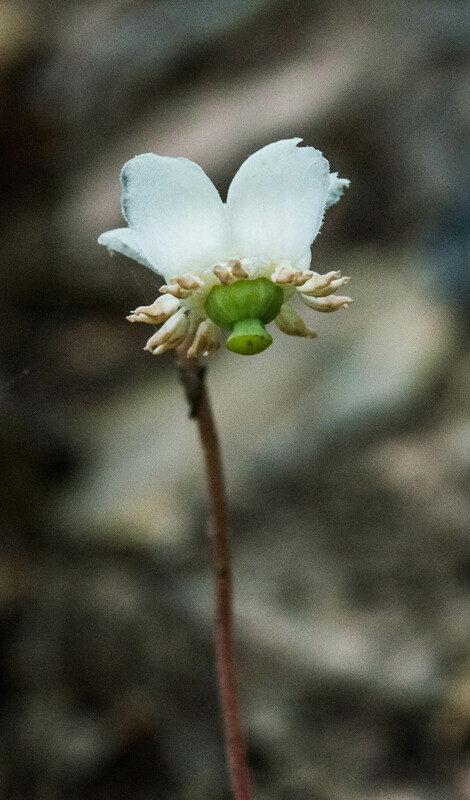 It’s found in eastern North America from Florida through Quebec, but is endangered in much of Canada, Maine, and Illinois, and is classed as exploitably vulnerable in New York. 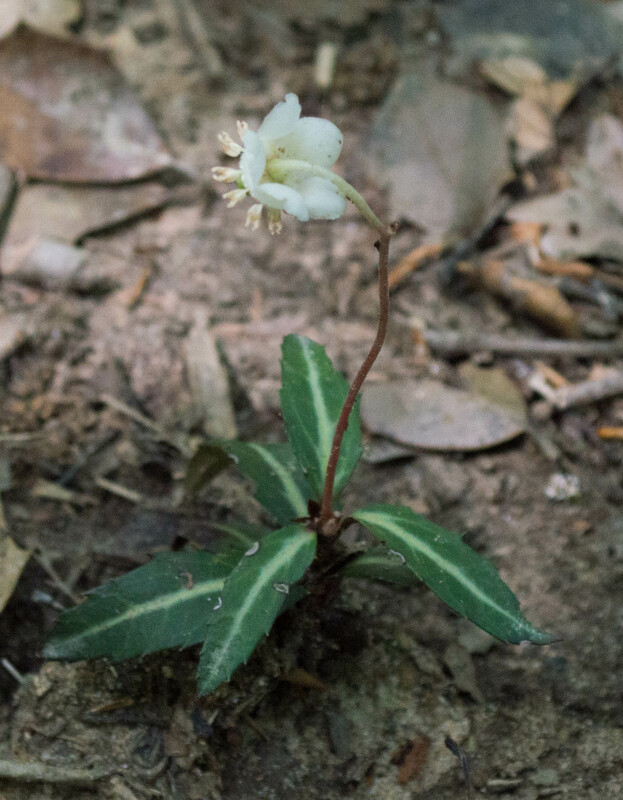 This entry was posted in Uncategorized and tagged native plants, spotted wintergreen, striped prince's pine, striped wintergreen, wildflowers by elizabeth. Bookmark the permalink.